. Published on Thursday, August 25, 2016 . 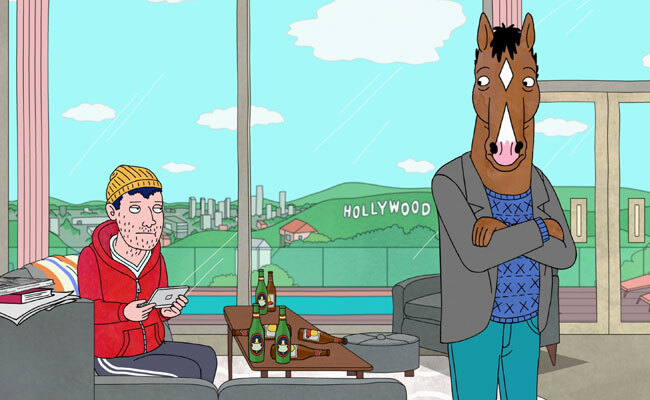 On July 22, Netflix released the third season of BoJack Horseman, a series that follows a talking humanoid horse who was once a successful ’90s sitcom star, grappling with a comeback as he deals with depression and self-loathing. Familiar names such as Will Arnett, Aaron Paul and Alison Brie lend their voices to the series. Below are five reasons to add this ingenious show to your Netflix queue. Narrowing down a solidified list of best puns from this show would be difficult at best, seeing as quite literally every episode is equipped with clever wordplay and puns. 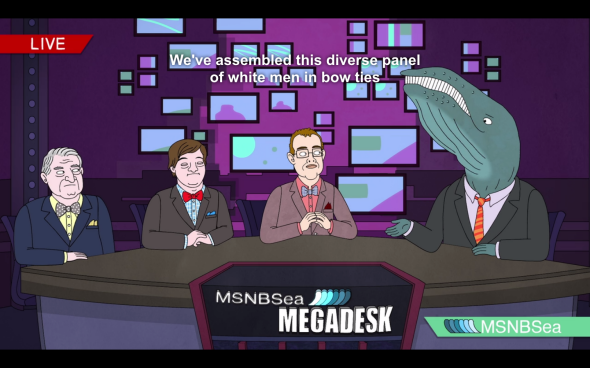 A few worth mentioning are MSNBSea, a play off of the MSNBC cable network where the news is anchored by a whale, and Parrotmount Studios—the clever puns play off a world inhabited mostly by talking animals. 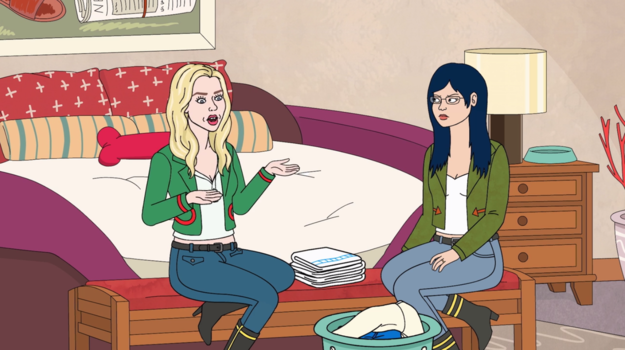 Another chuckle-worthy set up is Mr. Peanutbutter and Diane’s room, which consists of a giant dog bed with a bone pillow, a dog bowl nonchalantly resting on the bedside table and of course, the framed photo of slippers and a newspaper hanging above the bed. While satire is present in just about every episode, one of the best ones thus far has been in season three where the usually sensitive topic of abortion is addressed. MSNBSea compiles a “diverse panel of white men in bow ties” to discuss the issue, in which silly dialogue is exchanged about how women can fart an unwanted baby out. 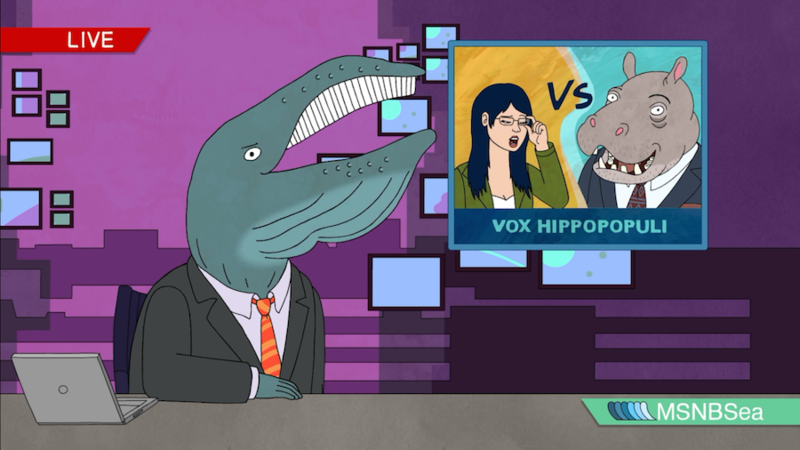 The show also mocks entertainment media with its character portrayal of “A Ryan Seacrest Type” (yes, that’s the actual name of this Perez Hilton inspired entertainment reporter); and let’s not forget the episodes where Mr. Peanutbutter signs on as the host of a new game show titled, “Hollywood Stars and Celebrities: What Do They Know? Do They Know Things?? Let’s Find Out!” shortened to the acronym HSAC!WDTK?DTKT??LFO! Created by J.D. Salinger, the game show was the archetype of essentially all network shows that lack much clarity and ratings due to its aimless premise. Perhaps what makes this show stand out is its raw depiction of the demons that haunt the once-sitcom star trying to reinvent himself. 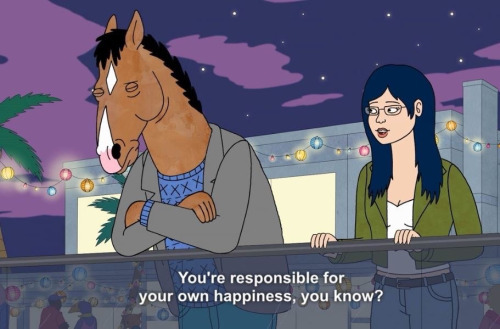 BoJack’s self-destructive tendencies are honest reflections of what it’s like to grapple with alcoholism and depression, all while he’s trying to come to terms with who he is and what he wants while dealing with self-loathing and the inability to form meaningful relationships. 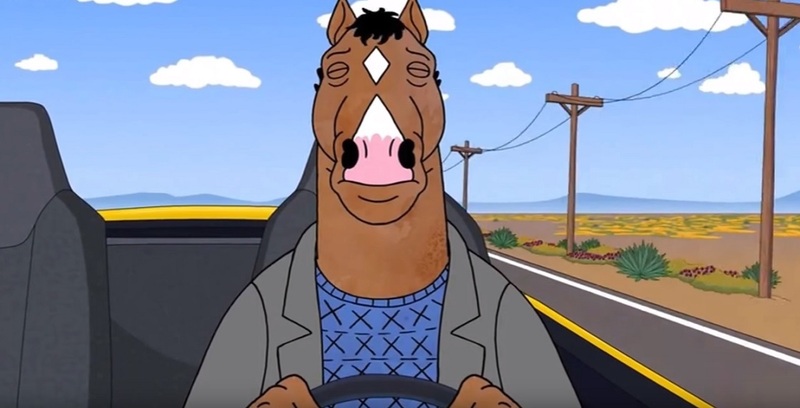 Viewers of BoJack will find themselves seriously perplexed when they’re ultimately confronted by all the feels they’ll get over a cartoon that centers on a talking horse. I mean, what even? I don’t remember signing on for this realness. Aaron Paul voices BoJack’s dim-witted but incredibly lovable best friend (this is debatable) slash roommate, Todd. 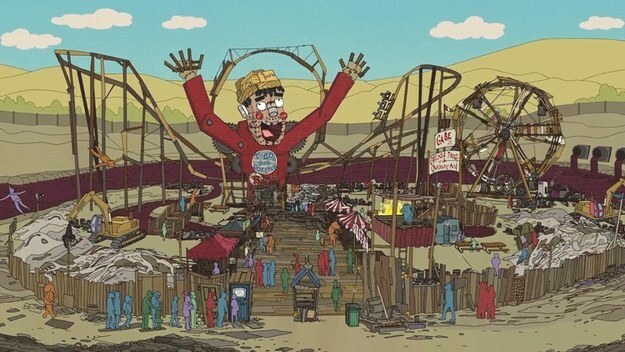 There are few things in this universe that are as pure and wonderful as Todd, who engages in various antics that range from writing his own rock opera, creating his own questionable theme park and opening a Halloween store in January as part of numerous business schemes that always end awry. In sum, Todd is the actual best. 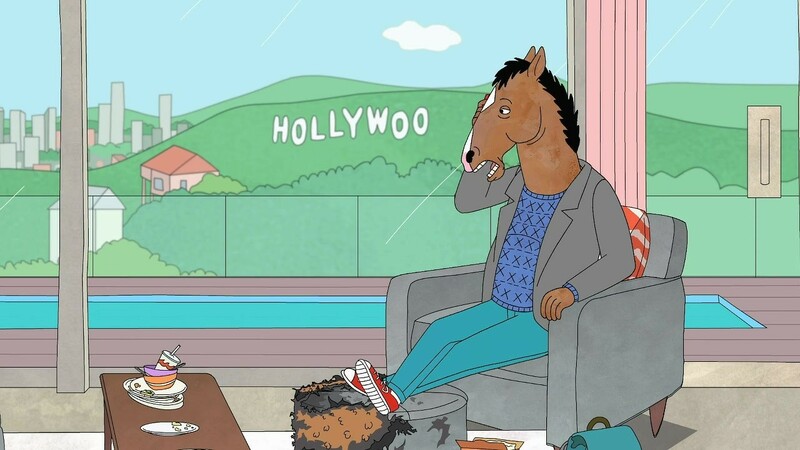 During one of the earlier episodes in season one, a drunken BoJack steals the D from the iconic Hollywood sign while tumultuously dealing with his feelings for Diane. 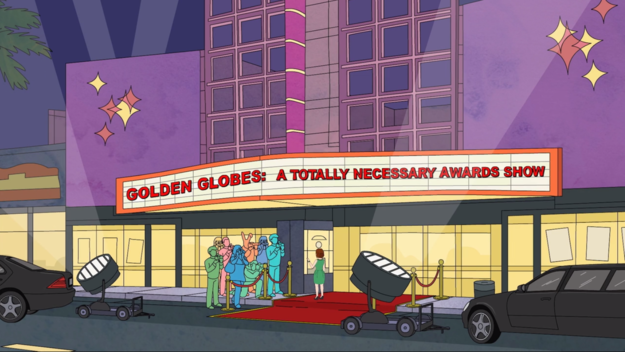 A helicopter stint thwarts it from being returned to its rightful place, so the entire series continues on with Hollywood being referred to as Hollywoo. And let’s not forget about Princess Carolyn’s brief relationship with Vincent Adultman to make BoJack jealous, in which Vincent Adultman was three kids stacked up on top of each other hidden beneath a trench coat. 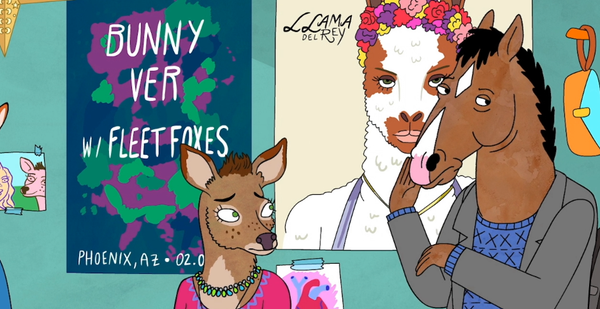 Princess Carolyn’s relationship continues with Vincent sporadically through the first two seasons. Have you added BoJack Horseman to your Netflix queues already? What are some other Netflix must-watches? Share with us using the hashtag #CampusCropChat on Facebook, Twitter or Instagram, and be sure to follow us on Snapchat @ASICPP.